CCleaner privacy issue - alternative crapware cleaners - PC Buyer Beware! In July 2017, Avast the internet security company, acquired Piriform, the UK developer of the most widely used crapware cleaner, CCleaner. The acquisition brought the fear from the tech community that Avast would use CCleaner to collect data from its 130 million users. Unfortunately, this fear bore fruit in CCleaner version 5.45, which collects anonymized data from the computers it is installed on. 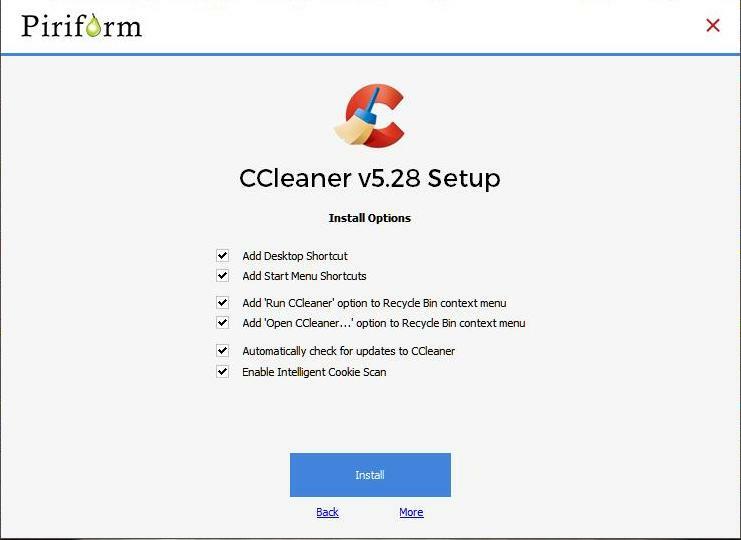 More specifically, version 5.45 of CCleaner forces Active Monitoring by making itself a start-up program like an antivirus scanner. Moreover, if a user disables the collection of data, the program re-enables it. The result was outrage from the tool’s users, privacy advocates and tech journalists. Avast reacted quickly by reverting to version 5.44 in order to create a replacement download. Below is its policy announcement. Avast must have paid a high price for Piriform with the aim in mind being to make the best use of its huge 130 million user base, many of which won’t be users of Avast Antivirus. For that reason, I would not update the tool. Disable the setting “Automatically check for updates to CCleaner” by using the following click path in the tool. Options => Settings. I am using version 5.32.6129 and won’t be upgrading it. The tool updates frequently, probably in order to provide users of the free version – the vast majority – with as many opportunities to upgrade to the paid-for Pro version. I still run Windows XP on a dual-boot system with Windows 7. CCleaner updates work on XP, Windows 7 and Windows 10, so it can’t be doing anything so serious that it will stop working due to being out of date. In any case, if the tool stops working, just uninstall it. But Disk Cleanup is always available from Windows XP to Windows 8.1. 1. – Enable your web browser – Firefox, Chrome, Opera, etc. – to start in private browsing mode. If you do that private data is not created in the first place. Each browser has its owns particular settings. Use a suitable web-search query to find out how to do that for a particular browser. Example: “firefox private browsing mode” brings up articles such the link below. 2. – Use the new system cleanup tool in Windows 10 called “Free Up Space”. Here is a link to an article on how to use it. In Windows 7, use the classic Disk Cleanup Tool that is also present in Windows XP. Here is a link to an article on how to use that tool. August 8, 2018 in Networking and Internet Problems, News, PC Problems and Solutions.